Copyright © Kjell Gatedal Filipstad Sweden - This image is copyrighted. Unauthorized reproduction prohibited. Pyrargyrite(red internal reflection) and dyscrasite(grey). 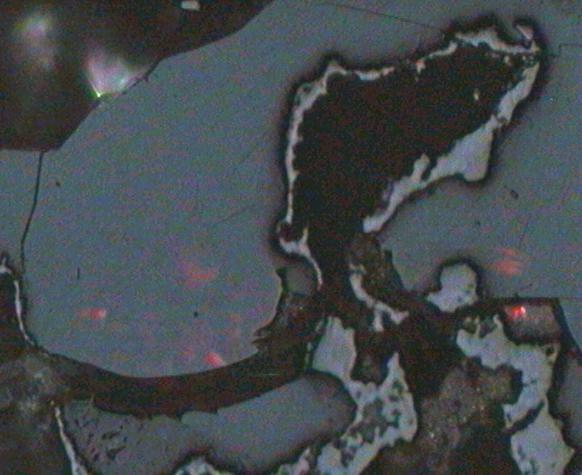 Polished section, reflected light, slightly crossed nocolls, size photo 0.15 mm. Collection and photo Kjell Gatedal.